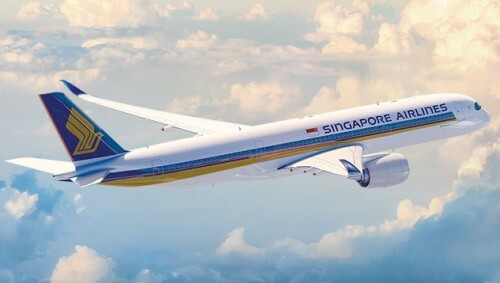 Singapore, April 2 (IANS) Singapore Airlines has grounded two Boeing 787-10 aircraft after routine inspections found issues with the Rolls-Royce Trent 1000 TEN engines, according to a statement issued by the carrier on Tuesday. It said that some of the Rolls-Royce Trent 1000 TEN engines on Singapore Airlines' Boeing 787-10 fleet were found to have "premature blade deterioration". "Pending engine replacements, two SIA 787-10 aircraft have been removed from service," the statement cited by Xinhua news agency added. Singapore Airlines's 787-10 aircraft are currently deployed to 11 destinations -- Bangkok, Denpasar, Fukuoka, Ho Chi Minh City, Manila, Nagoya, New Delhi, Osaka, Perth, Taipei and Tokyo. The airlines declined to comment on the number of travellers affected, saying it was "actively getting in touch with customers" to re-accommodate them on various other flights. "We regret the inconvenience caused and sincerely apologize to customers whose travel plans are affected and seek their understanding," said the airlines. The grounding followed the suspension of all Boeing 737 MAX flights in its airspace in Singapore on March 12 by the country's Civil Aviation Authority in the wake of two fatal accidents involving Boeing 737 MAX aircraft in less than five months.